Every woman longs for authentic friendships with others—but in a world of carefully-curated social media, most of us are merely keeping up appearances. Both online and offline, we're all prone to only presenting the best side of ourselves. This book shows us that, surprisingly, the secret to growing the relationships we crave is in developing a biblical habit of repentance. By being honest about our sin before God and receiving his forgiveness, we're freed be honest about our sin with others. When we drop the act and are real with others, we are both strengthened in our fight against sin and can start to grow authentic friendships. 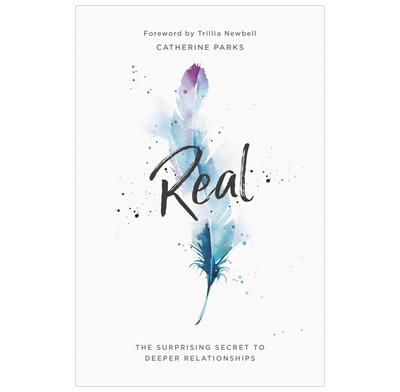 Catherine Parks encourages women to resist the "I'm fine" culture, get real with each other about sin and experience authentic fellowship. This book is great for reading with your book group, women's group, accountability partner, or one-to-one mentor—discussion questions are included for every chapter. A deeply perceptive account of how to live real life—in the only way that matters. This book moved me, changed me, showed me my need of the cross and inspired me to share this with others. A rare find, I couldn't put it down, was sad when it finished and will be coming back to it regularly to reveal afresh my sin and my need of a saviour. Catherine is ruthless in stripping back the layers to get to the root of our lack of real repentance, and immensely practical about what true repentance entails. I found myself genuinely confessing the heart of my sin, and therefore seeing real behaviour change. She then brilliantly inspires us to do this in real relationships with others. In this superb and timely book Catherine Parks encourages us to pursue friendships that go beyond nod-along pity parties. In our day there is much talk of authenticity and being ‘real’. Catherine points us toward true mutual vulnerability, not as an end in itself, but rather as a means of journeying together back to the cross of Christ. This book has transformed the way I view what friendship is, and what it is ultimately for. Started reading the book thinking it would be a good read for Ladies' Ministry. I was wrong. It is a great read for everyone; youth, women, and men. Catherine literally walks you through the way we so often address sin in our lives and then shows you in Scripture the Biblical way we should be handling our sin. I have read Chapter 5 three times trying to get it to sink in.